Le Méridien | Borneo Trails Tours & Travel, Sabah, Malaysian Borneo. Explore unique experiences in Sabah’s Rainforest City and see the destination through new perspectives. Kota Kinabalucity, gateway to Malaysia’s Borneo, unveils renewed spaces at the 306-room Le Méridien Kota Kinabalu. 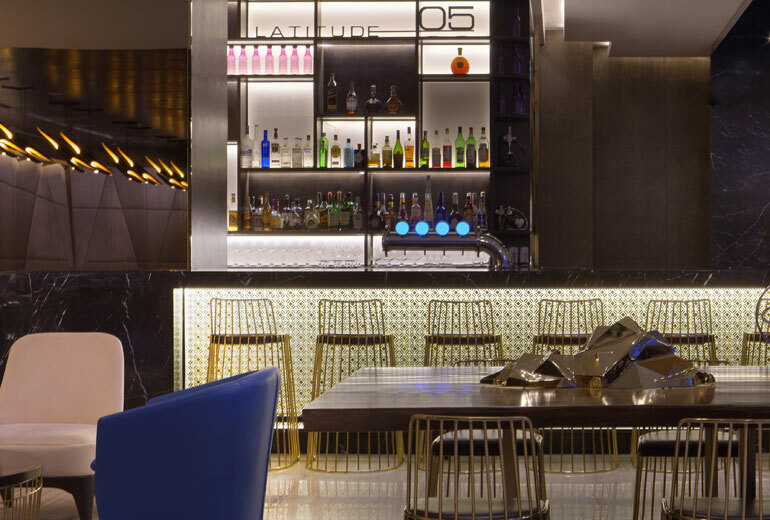 The hotel’s newly transformed lobby unlocks a refreshed arrival and welcome experience that is enhanced by the opening of three innovative dining and entertainment venues. For an exceptional Le Méridien experience, indulge in Le Méridien Suites that captures and embraces you within its luxurious space, with breathtaking South China Sea or Kota Kinabalu city views. Our Classic guest rooms offer stunning views of the mountains and Kota Kinabalu city. With an inviting décoration and contemporary amenities. 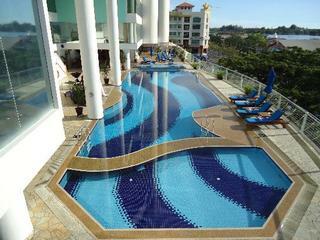 The Deluxe room has unequaled combined views of the South China Seaand Kota Kinabalu city. With an intricate polished décor and luxurious amenities complementing the room. The Deluxe Sea View rooms offers unobstructed panoramic views of the South China Sea and chic, understated décor within its spacious 41 square meters surrounds. Elegant and understated, Le Méridien Club is a stylish choice with its stunning South China Sea or Kota Kinabalu city views, and deluxe amenities. 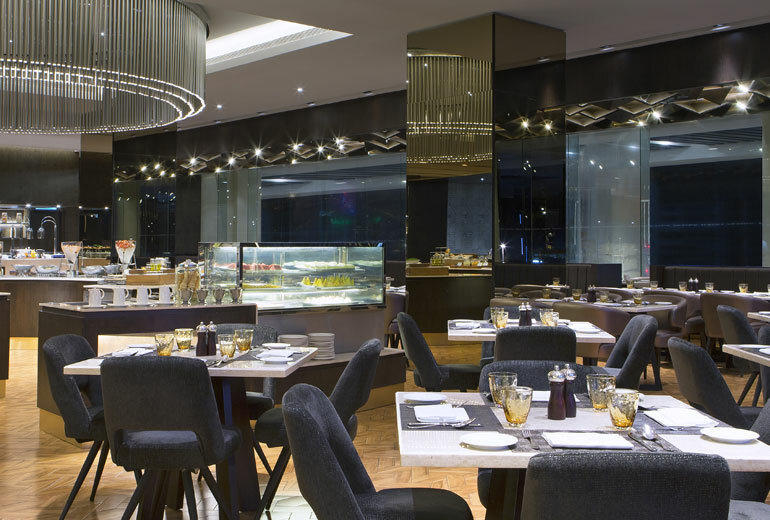 Le Méridien Club Lounge is an exclusive lounge for Le Méridien Club Rooms and Suites’ guests. Pleasant and refreshing for all ages, the swimming pool is enhanced with panoramic views of the South China Sea, promising world class views of spectacular sunsets. 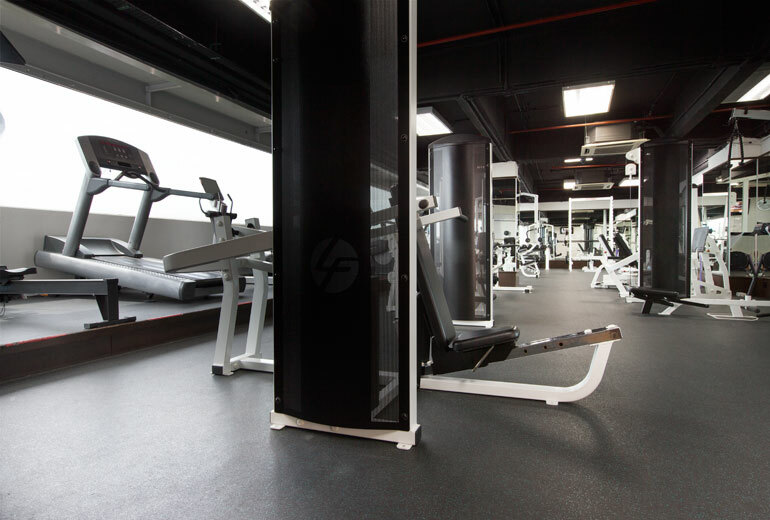 A favourite workout facility in the city, the hotel Fitness Centre situated at level 2 overlooks stunning views of the coastline and South China Sea, and is fitted with state-of-the art fitness equipment, weights, cardiovascular equipment, steam bath and sauna. Well-trained and knowledgeable staff at the Concierge Desk offer invaluable services for general information on Kota Kinabalu, local places of attraction and the destination. From personalized tours to bigger group arrangements, share with our Tour Desk your dreams and desires upon reaching this beautiful Land below the Wind as we uncover opportunities for you to see this beautiful place through new eyes. 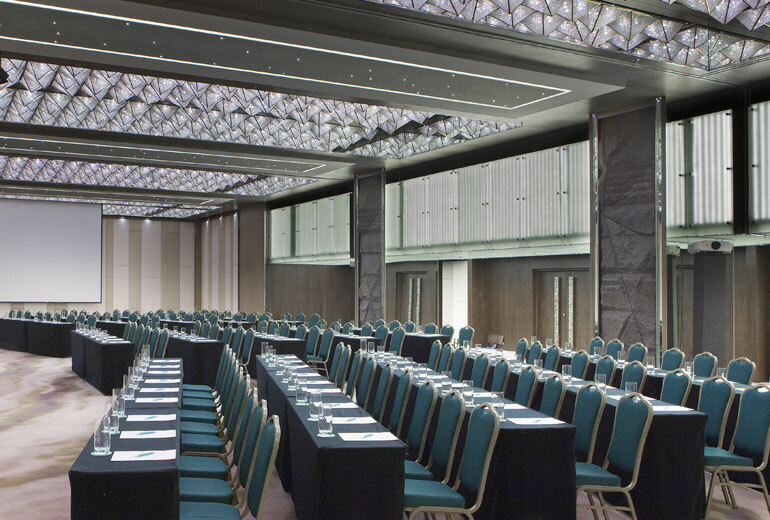 The hotel Business Centre located at the Lobby is adjacent to the various dining venues. Locally known for the best restaurant to indulge in local native Sabah Food like the Hinava, Bambangan and Pinasakan, Latest Recipe offers compelling, unique culinary experiences through the a la carte menu and at the buffets. Favola, which means 'fable' in Italian tells a story of the flavours of Tuscany, Italy right here in the heart of Kota Kinabalu. Uplifting the daytime crowd with illy coffee, éclairs and sensorial snacks, Latitude 05 also give guests the opportunity to enjoy a little sweet joie de vivre with éclair classics such as coffee, chocolate and vanilla and destination-infused flavours such as the Calamansi and Oxtail Assam Pedas and then transforms itself into a bar with signature destination Prosecco cocktails. A tasteful al fresco setting located adjacent to the swimming pool with magnificent views of the South China Sea and nearby little islands. It provides a perfect spot for sun-seekers who prefer to unwind within the urban jungle.